If you would prefer to have counselling by telephone and do not want to meet face to face or think that this medium would be more convenient for you, contact me to discuss this and arrange an initial free half hour telephone session. Once we have had this free session, if you then want to have an assessment we will decide on a suitable day and time for this, on this first occasion it could be up to two weeks ahead. I will then email you an invoice for the booked assessment session and a copy of the Counselling Agreement, which outlines the terms & conditions under which the counselling will be undertaken. There will also be a form which asks you for your contact details, Doctor's name and address, brief details of any previous counselling, psychotherapy or psychiatric help and any medication you are currently taking, exactly the same details taken as at the start of a face to face counselling assessment. The only difference is you will be filling in these details and emailing them back to me so when we actually have your telephone assessment, this part will have been done beforehand. You will also be asked on the form to complete a secure payment for your coming session, either through a Paypal account, by debit or credit card or by Direct debit, via this website or by setting up a Bank transfer, with me as a payee. Details are on the Payments page. When I have your forms and your payment has been processed I will contact you by email to confirm that your telephone counselling session will be taking place on the date and time agreed. In the event of your payment not being received I will contact you by email and/or telephone and your session will be postponed and then rescheduled upon receipt of your payment. Many people have very busy lives and work schedules, it is hard enough balancing family and work, self care has to take a back shelf. Maybe you feel you would like to have counselling but wonder how you can fit it in? The travel time to go and see a counsellor, sometimes after work when traffic is busy, can mean that one hour of counselling is actually a two or three hour commitment, then there are fuel costs and finding somewhere to park. It could be that you have chosen a particular therapist through an internet search for a certain area of experience or expertise or you just like the sound of a counsellor or the way they work but their geographical location makes it impractical for you to see them. Today's technology means that anyone with an internet connection and a PC or laptop with a webcam can 'meet up' and talk 'face to face' anywhere in the world. 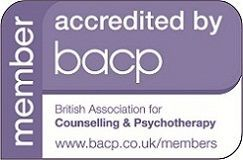 You can therefore have counselling with your therapist, in the comfort of your own home. You only need to set up Skype if you do not already have it, which is quick and easy to do and we can then try out an exploratory half hour meeting, free of charge....it's worth giving it a try to see how you get on with this way of working. Telephone or email me if you have any questions and we can arrange a time and day for the free session if you wish. This allows you to try it out and see how you feel before making a decision to begin Skype counselling. You might even want to 'try out' a few other counsellors to discover who you feel most comfortable working with. If you do decide to have a counselling assessment after we have had the free session, my Counselling Agreement, contact form and an invoice will be sent to you. Once these have been completed and sent back to me and payment for your booked session has been received, your appointment date and time will be confirmed and you can then Skype me at the time of your session.